Here is a news story that I was interviewed for recently. CBC’s “The Current” asked me to be interviewed as I had filled out a survey on access to dental care. Sawyer (my kitty) even got her 2 cents in (laugh). Willow Smith (the producer who interviewed me) was awesome. Please share widely and pass it around, whether or not you live in Canada. I am sure a lot of my American friends are in the same (or maybe worse) situation. It wasn’t easy for me to open up about my situation. It’s embarrassing (and often painful) for me to open my mouth at the best of times right now. But I had to speak up. I’m not the only one in this situation. According to the reporting by the CBC there are 11 million people in Canada in the same boat. I am sure the number is even greater in the US. It’s monstrous to think of so many people living in constant pain, with no hope of relief. I believe basic treatment and preventative care would not only help these people, ultimately it would save health care systems money. I have checked, emergency room care is limited to diagnosing the problem, providing pain killers and antibiotics. I can get that from my doctor. OTC drugs do help me somewhat, but they do have problematic side effects. None of this solves the problem. Like the cancer patient in the story, my problem was also worsened by health issues, and dry mouth caused by side effects of medications for other health problems. While I support basic dental for all people, I can see how that might be problematic politically. 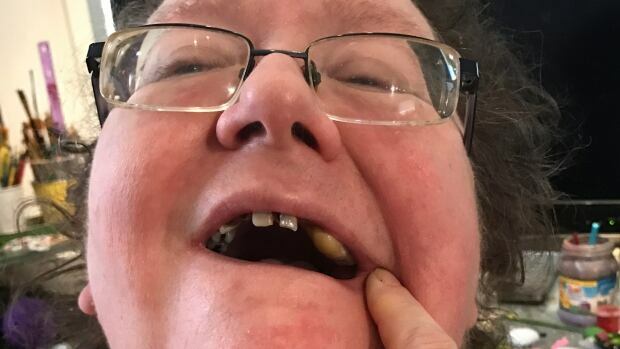 A good short-term solution is to extend Trillium or similar benefits to people who lack a dental plan, and to cover extractions and basic care for those who can’t afford it. That would be a step in the right direction. The Honourable Jane Philpott. Hill Office House of Commons Ottawa, Ontario Canada K1A 0A6 Telephone: 613-992-3640 Fax: 613-992-3642 Email: Jane.Philpott@parl.gc.ca Postal Mail may be sent postage-free to any Member of Parliament. It is best you write your letter in your own words, form letters are convenient, but they can be flagged as spam, so I recommend you add your own comments along with the link to the CBC story. Tell our government people are suffering and it is wasteful and cruel not to cover basic dental care. Thank you.